Electro-Psychobilly with an eclectic approach to the song writing and recording, you can immediately tell it is a sound that inhabits a world of its own. Genres of music skillfully mixed to create something totally new but at the same time classic. It is certainly interesting for me to read that article. Thanks for it. I like such themes and everything connected to them. I definitely want to read more soon. I saw you at the Marina show at the Bierhübeli in Bern and i was fascinated by your sound:-D and i love your sense fo fashion and style 😀 i hope i will you see soon again in switzerland and another question: is it possible to get your EP with an autograph from you? i can transfer the money when you give me the dates. this would be realy great. 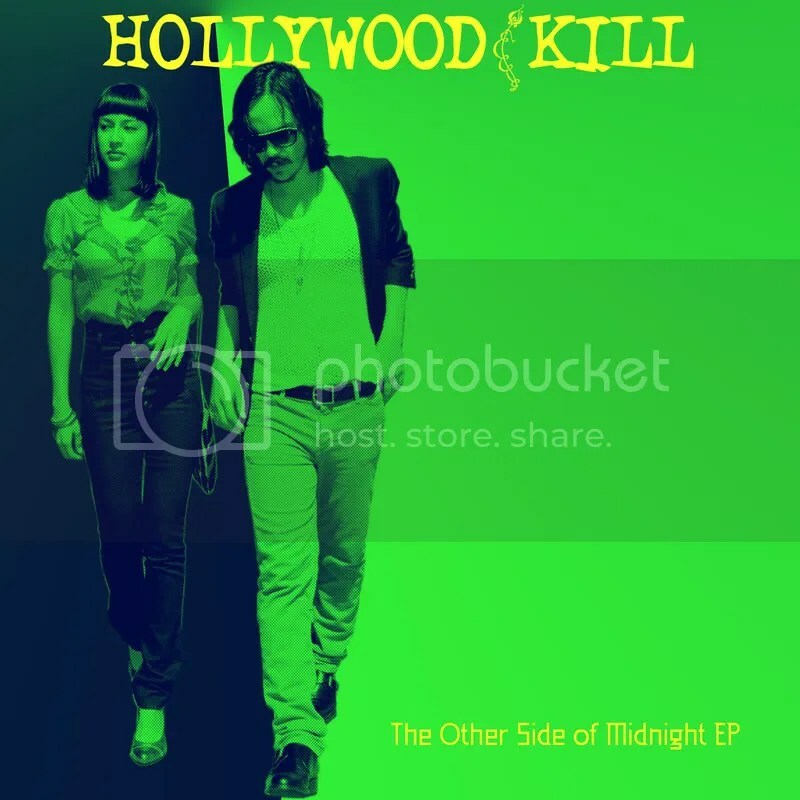 Omega, Yes just send $20.00 usd to our paypal account (paypal account ID: hollywoodkill@yahoo.com) and email your mailing address to hollywoodkill@yahoo.com and we will mail you an autographed copy of “The Otherside of Midnight” as soon as we reciece payment. Your music makes us high! Please make more! We are waiting, we WANT/NEEEEED it o.O!!! Great show last night in Ghent, Belgium! I really like your music! hot stufff!!!!!! london loved!!!!!!! !see you maybe live??? ?if im lucke!!! !